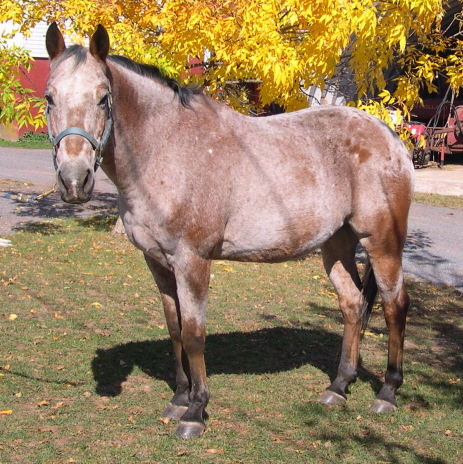 Appy is an Arab/Appaloosa cross who came to TRP when his owner went away to college. Appy is a little bouncy but can be comfortable when not so lazy. Appy has become a very nice lesson pony. Donated by Sally Hamilton. 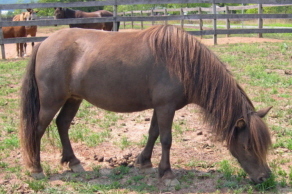 Bambi is an American Miniature Horse. Individuals who are afraid of big horses enjoy grooming Bambi. Worked in dressage for almost 20 years. He enjoys trail riding and giving lessons. Owned by Debbie Endlich. Originally purchased at a local auction. Works as a lesson pony. Loves to eat treats - that's her favorite job. Donated by JR Ramsburg. 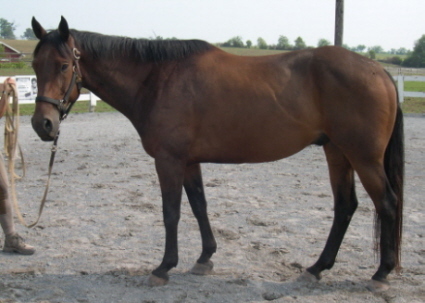 Griffin grew up in the West and came east to be an eventer. As Griffin can no longer endure the hard life of an eventer, he is now teaching our riders what its like to ride a BIG horse. Donated by Susan Bawer. Hunter show horse at UVA with owner Devon McCurdy. 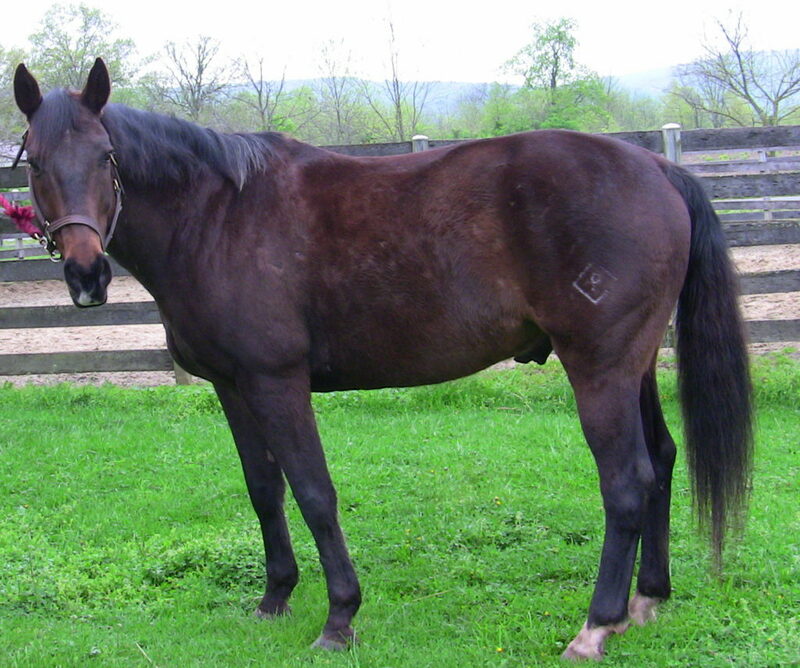 Jack is a registered Quarter Horse Arab. He is 14.2 hands and a bit "spicey". 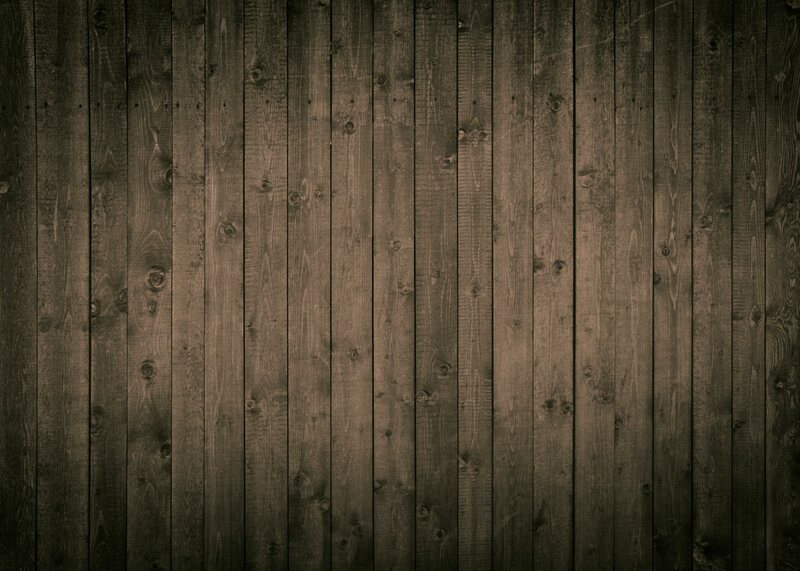 Has tons of personality. 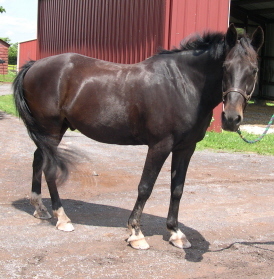 Jack has worked as a lesson horse, giving lead line lessons and a camp horse. Donated by Lisa Sarro. 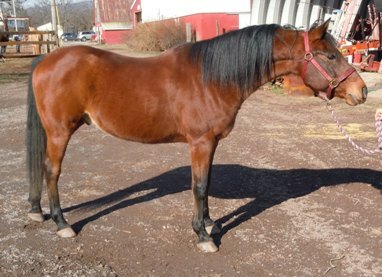 Jitterbug is a POA and is a medium size pony. 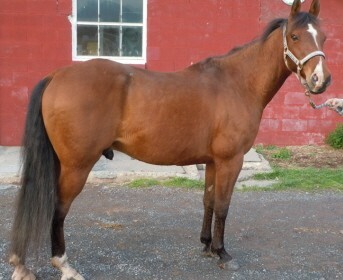 Previously a companion pony at a large TB farm, JB is learning how to please everyone. She is always ready for attention and see new sights. Donated by Jeramiah Wooters. Lady is an American Miniature Horse, previously being a family pet along with Bambi & Winkie. She is very spoiled and loves the attention she gets when being groomed and meeting our students who sometimes are taken back by the "BIG" horses. Donated by Elaine Eggink. 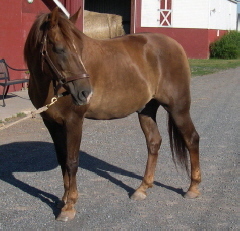 Nestle is a registered Quarter Horse. He has shown both western pleasure and English. He loved to jump but is now retired from jumping. He is very comfortable at a slow trot, which is great to learn on. Nestle is a wonderful teacher. Donated by Debbie Burke. 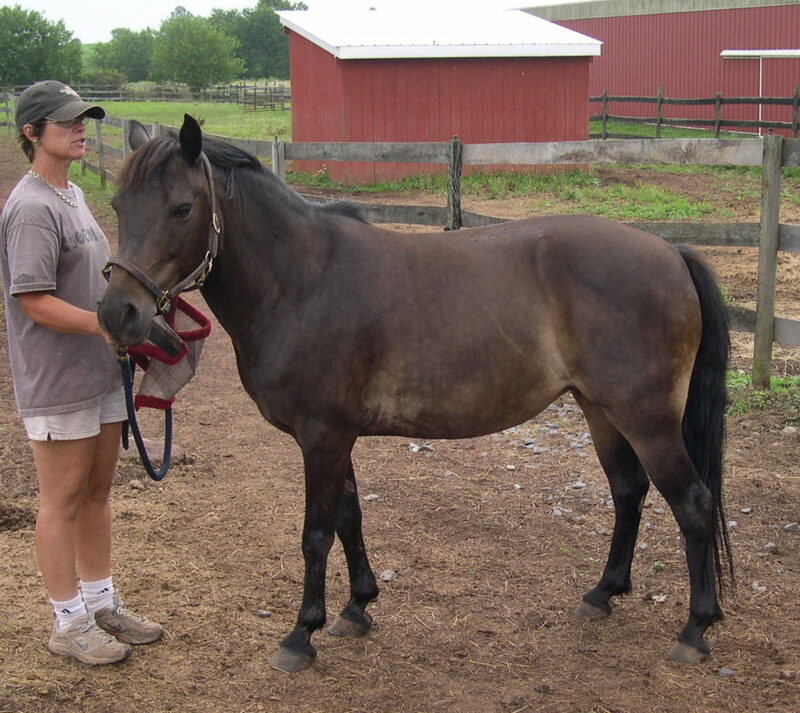 Morgan/Belgian gelding with many trail riding hours. Donated by John Madison. 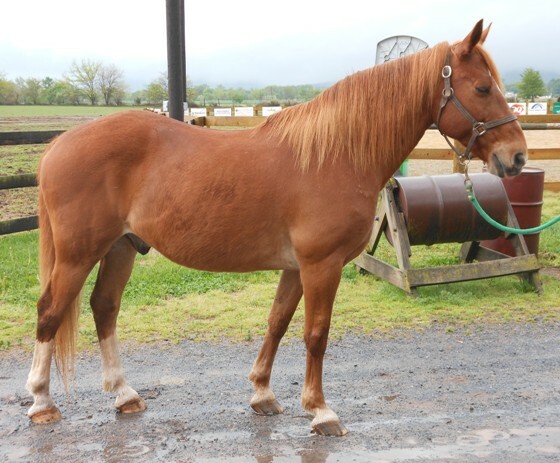 Registered Haflinger Mare. Rides and drives. She's a Florida Girl, adjusting to snow. Donated by Sarasota-Manatee Association for Riding Therapy, Inc. 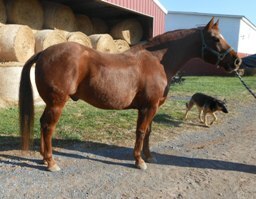 Grew up with Belgian broodmares. Thinks he is a "big" horse, who loves to make riders and leaders work hard. Owned by Debbie Endlich. 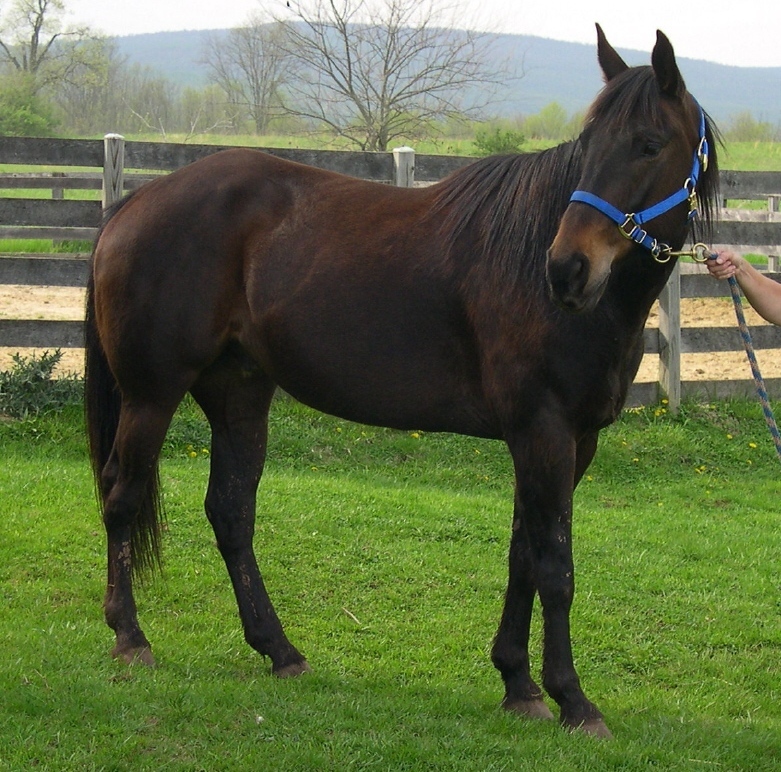 Registered Standardbred Gelding "Mitigator" Previously lived in Vermont and loves trail riding. Reilly is an excellent boy with our disabled riders - giving challenges and patience. Donated by Cat Phillips. 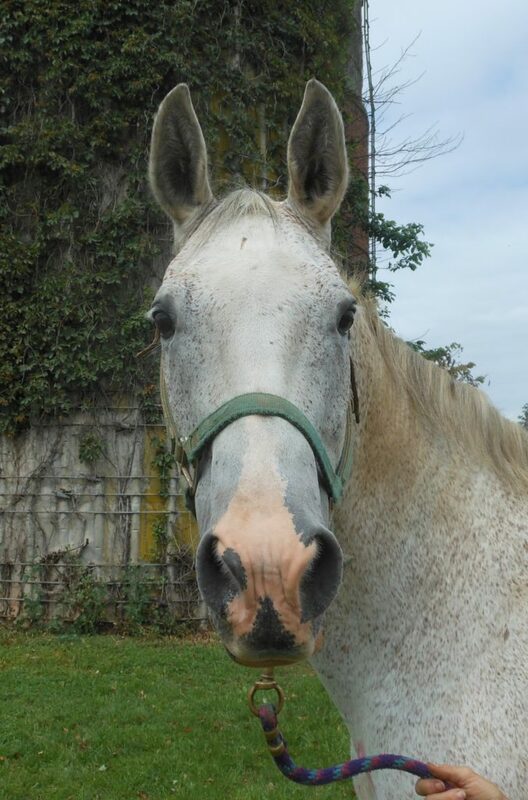 Registered Arabian - El Addinns Mariah. 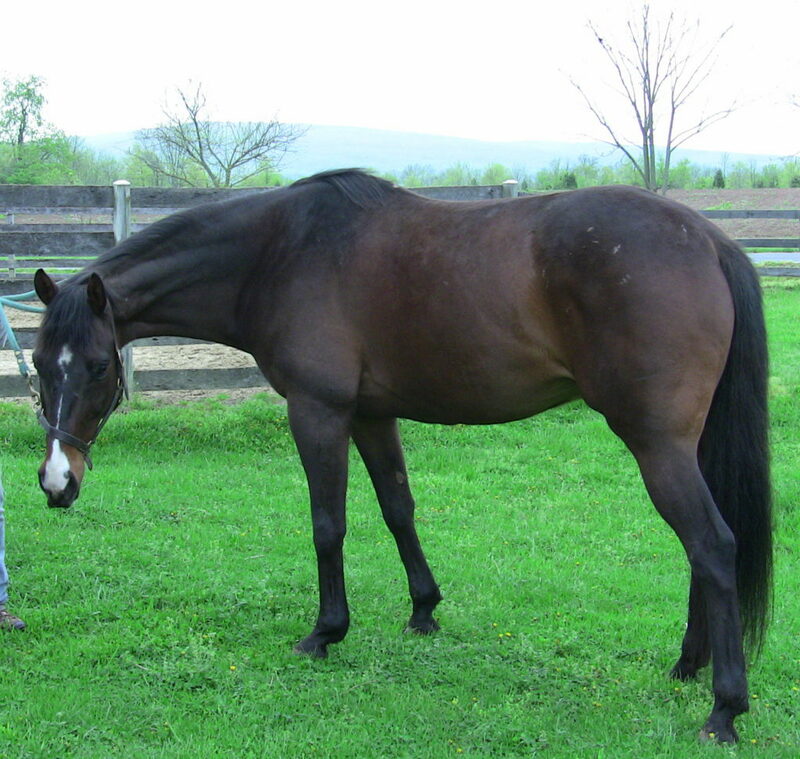 Previous lesson horse and the father of several foals. Owned by Debbie & Cor Endlich. Born in 2003. 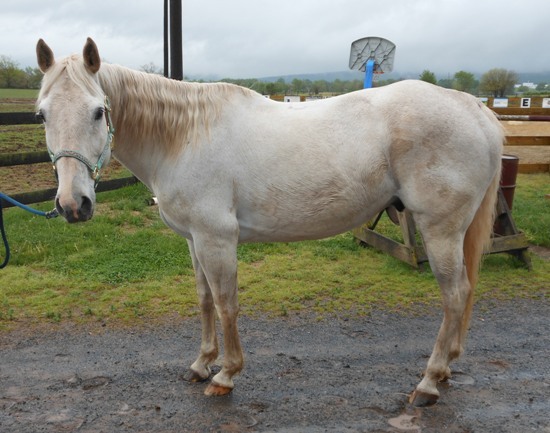 Silver is probably a draft quarter horse gelding purchased with the help of one of our wonderful volunteers. He was a babysitter a TB breeding farm and used lightly as a riding horse for grandkids. He now is a very useful member of our equine therapies. Owned by Vicki & Mike Fried. 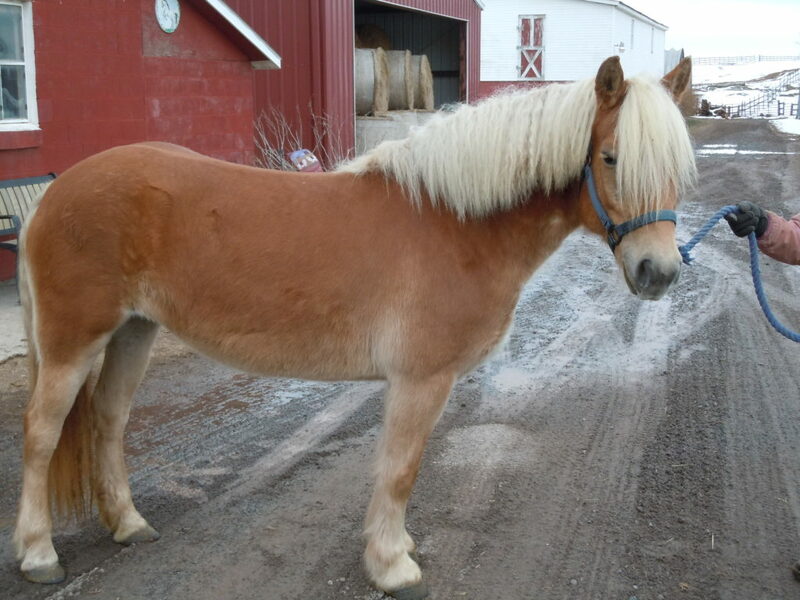 Haflinger Cross Gelding - previous camp pony. Received from a Grant made by William E. Cross Foundation. 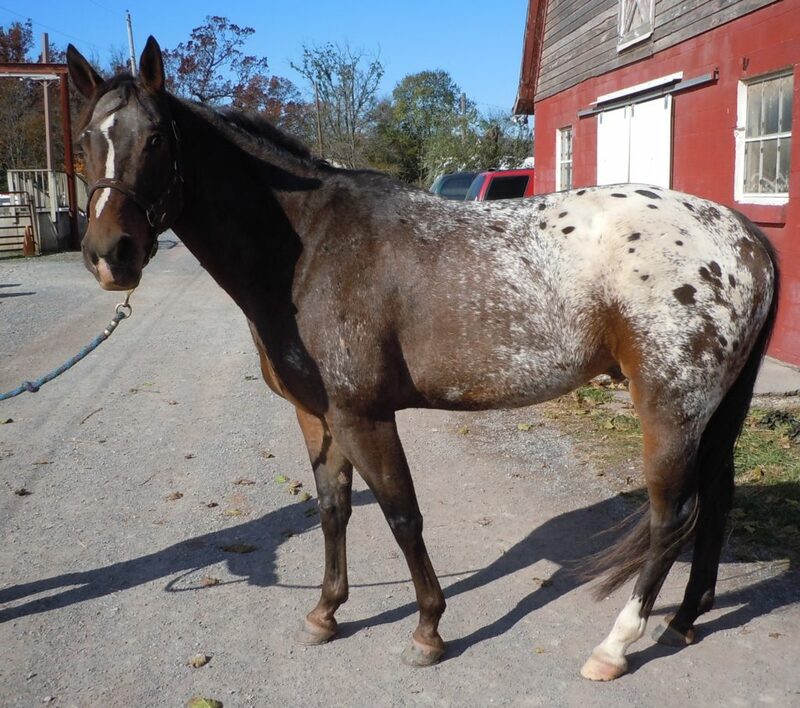 Tucker is a gorgeous Appaloosa gelding. He is about 15.1 hands. He previously showed in eventing. He loves attention and stands around during feeding time wanting to discuss the days events. Donated by Susan Bawer.